Anyone concerned about the state of the environment and the sustainability of our consumer items may be interested in kids organic clothing. Even though clothing a child in organic clothing may seem expensive, it's also the case that the organic movement, whether in clothing or in food, is far more sustainable. In addition to being sustainable for the environment, organic clothing allows one to contribute to positive work conditions for employees, as well as being a healthy clothing option for children. Organic clothing is often thought to be better for the people who wear it, whether adults, children, or babies. No studies have, so far, proven that organic clothing makes a difference in either overall health, internal systems, or even skincare (although those with sensitive skin may claim otherwise). However, organic clothing is a much better choice for the Earth than the traditional way of producing clothing fibers and making clothing from those materials. Organic cotton is grown under sustainable practices; this is the most important thing in making organic clothing. The impact that the fabric-making process has on air quality, soil quality, and the amount of waste produced as a byproduct of the production system is the central advantage that comes with organic growing practices. While organic fibers may not be any better for consumers than traditional ones are, organically grown fibers make a significantly smaller impact, which benefits the environment, which in the future will benefit all consumers and citizens as a whole. When organic clothing is mentioned, people often first think of organic cotton; however, there are other materials with which organic clothing is made. Hemp is one such material, yet another, and even more popular organic fiber, is bamboo. Bamboo is being celebrated as the antimicrobial and anti-wrinkle wonder of the fabrics world. Organic cotton is often thought to be softer than traditionally produced cotton, which makes it a great option for baby clothing. Some claim that organic cotton is not, by nature, softer, and that it has more to do with the weave of the cotton than the fact that it was organically produced. While it's hard to come to an agreement on this matter, it is often (not always) the case that clothing made with organic cotton is, indeed, softer. Soft cotton is always welcome in the clothing industry! 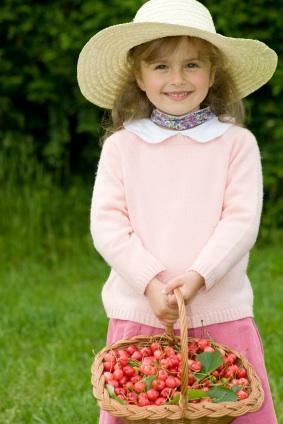 Garden Kids Clothing offers children's organic clothing, both dress clothes and casual, in organic, soft cotton. Kate Quinn Organics has a beautiful selection of organic products for children and babies, from clothing to organic baby bedding. Sage Creek Organics has a great selection of organic baby and children's gifts, from clothing to baby blankets, all in 100 percent organic cotton. The demand for organic clothing has risen sharply in recent years, and the number of shops and sites offering organic items has gone up in parallel. While the cost of clothing made with organic materials is higher than the cost of traditionally produced clothing, some retailers are working to lower the price of organic clothing to make it more attractive to consumers. Many people steer clear of organic clothing because of its price tag, but retailers are hoping that if the gap between the two price categories (traditional vs. organic) is small enough, that consumers will be willing to pay that small extra bit for organic clothing.